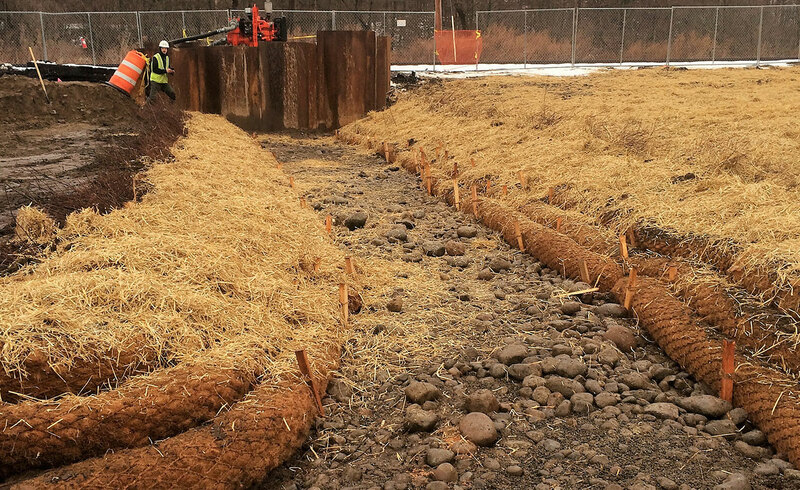 LAND Remediation is nearing substantial completion of this NYDEC Superfund Site located in Chadwicks, New York. 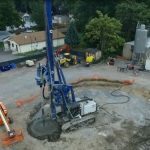 The project was implemented under USEPA’s self-implementation program and involved the removal of ~50,000 tons of PCB-impacted sediments, soils, and debris to an unrestricted use standard. LAND bypassed, excavated, and rebuilt the unnamed tributary and the banks of Sauquoit Creek. 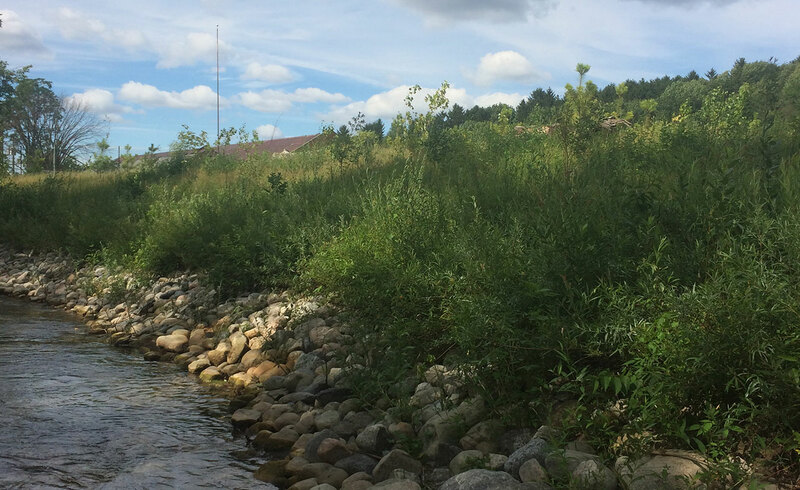 With the support of our subcontractor, Applied Ecological Services (AES), tributary and bank restoration was completed from November to December 2014 (see photo below of completed work). Final restoration work is underway along the upland portions of the site. 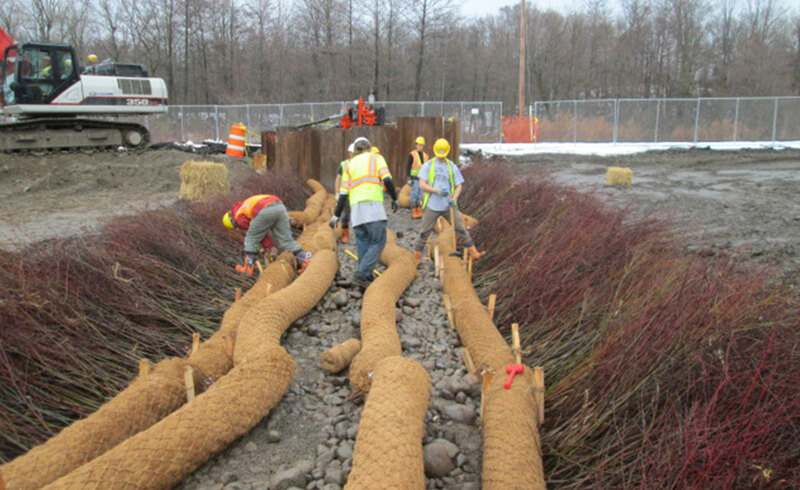 Restoration work included placement of log diversion structures, subgrade and stone aggregates (performed by LAND), and restoration of final cover elements (performed by AES) including placement of 320 lf of coir log, 630 sf of brush mattress, 800 live stakes, 230 shrubs, 550 trees, and riparian/upland seeding (in progress).